The development of stable cell lines is an important research tool in basic life science research and pharmaceutical drug discovery/compound screening. 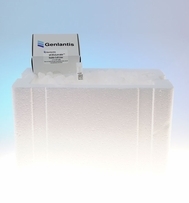 Genlantis is proud to introduce the xCELLerate line of stable cell lines expressing critical marker proteins. The xCELLerate Stable Cell Lines allow for high throughput assays and the overexpression of many marker proteins. xCELLerate your research today by ordering from our growing list of our tested and proven high-quality line of stable cells.